When a person is arrested for driving while intoxicated in New Jersey, there are many issues that will go through his or her mind. 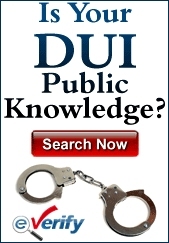 It’s natural to worry about the future and the consequences of a conviction on the traffic offense of DWI. The penalties for a conviction include a suspension of driving privileges, fines, surcharges and possible jail time. Depending on the amount of alcohol in the system or if the driver had drugs in the system, the penalties can be significant. If there is an accident with injuries, the charges can be upgraded and lead to a long road through the legal system. Since the penalties can be so harsh, it’s important for a defendant to hire an attorney and formulate a sound defense. While it might be tempting for a defendant to make the job of the prosecutor easy in an attempt to curry favor or to simply make the entire episode go away, it does little good because there are no plea bargains for DWI charges in New Jersey. It simply doesn’t make sense to plead guilty because there is no benefit to it. An attorney can examine the evidence in the case, the circumstances surrounding the traffic stop and all the factors involved and perhaps find holes in the case to have the charges reduced or dismissed. 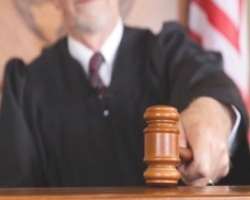 A part of the process of a court case is the attorney making pretrial motions. An attorney might make the following forms of pretrial motions in an effort to help the defendant achieve a positive result in the case. These include a motion to suppress evidence, a motion for supplemental discovery, a motion to suppress statements because of violations to the defendant’s Miranda rights, a motion for a split of the blood and urine samples, and a motion to see the personnel file of the officer who made the arrest. These motions are frequently made during the arraignment. The judge will hear them and place them under consideration. If any of these motions end with a positive result, it can have a major impact on the case and lead to an acquittal. A motion to suppress evidence is an attempt on the part of the attorney to have some part of the reasoning for the arrest to be excluded. This can involve the reason the officer made the traffic stop to investigate, the breathalyzer test or a blood test. The officer cannot make a traffic stop on a whim. There must be a justifiable reason for it such as running a red light or swerving in and out of traffic. If it is believed that the officer didn’t have just cause to make the stop, the evidence could be suppressed. As for the testing procedures, the officer is required to follow certain procedures such as the 20 minute observation rule in which the officer is supposed to watch the suspect for 20 uninterrupted minutes to ensure that nothing – smoking, chewing gum, regurgitating – is done to compromise the accuracy of the breathalyzer. The officer must be certified to give the test and the machine has to be properly calibrated. A violation of any of these rules can lead to the evidence being deemed invalid. The prosecution is required to provide the defense with the evidence that is going to be used in the case. In general, the prosecution will give the evidence to the defense attorney without a motion. This will include the arrest report, chemical tests and statement of witnesses. What an attorney might also want to request are the records of the breath test machine that was used. It is imperative that the machine be calibrated and maintained. If the machine has not been properly calibrated and maintained and the attorney sees this in the records, then the evidence that was accrued as a result of it could be inadmissible. Splitting the blood or urine sample is done so there can be an independent laboratory test them to make sure the results were accurate. For a driver to be arrested in New Jersey on DWI charges, the blood alcohol content for a driver age 21 or over must be 0.08% or higher. For a driver under the age of 21, the BAC must be 0.01%. For a commercial driver, it must be 0.04%. The key to the case often hinges on the BAC. If there was a mistake of some kind made by the police when collecting this evidence and it can be found when the defense is allowed to split the sample, then it could have great benefit in the case. Everyone who’s ever watched a police or lawyer entertainment program is aware of the Miranda rights warning that must be read to a person who is being arrested. “You have the right to remain silent…” etc. While the statement is commonly known, many don’t know its ramifications and how important it is. When the officer is investigating and asking basic questions, it’s not required that the driver be read his or her rights. Once the officer has made the arrest, the Miranda rights must be read for anything the defendant says to be admissible in the case. If the driver was not read these rights and says something that can damage the defense, it is possible that the motion to suppress will have these statements thrown out. It might sound like something out of a police drama, but there is the possibility that the officer committed some form of misconduct. There could be complaints from citizens about the officer, internal affairs investigations into the officer, or a psychological problem in the officer’s past. If the suspect believes the officer has done something that could be viewed as illegal or didn’t adhere to proper procedures and altered the result of a field sobriety test, then there could be a chance to have the evidence excluded. There must be a legal argument to make this request, but if the attorney believes that there’s a good reason for filing this motion, it’s worth the try.